But it's also a reminder of why they're not for everyone. The most interesting computer released this year isn't an ultrathin laptop. It's a desktop made by Microsoft. Seriously. The Surface Studio is Microsoft's bigger and bolder follow-up to its Surface hybrid laptops. And while it might look at first like a typical all-in-one, it hides a unique ability. 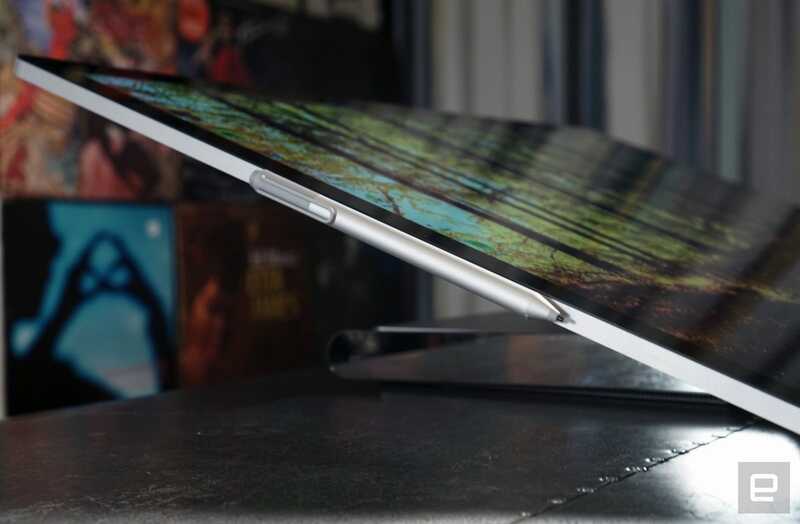 Give the screen a bit of a nudge and it starts bending -- all the way down to a 20-degree angle, in fact. Try doing that with an iMac. Like Microsoft's previous Surface devices, the $3,000 Studio is an attempt at evolving how we use computers. 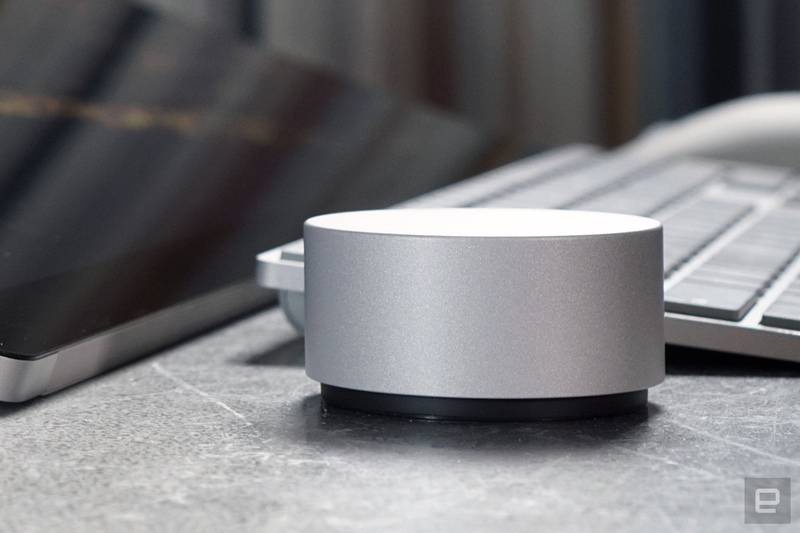 And together with the new Surface Dial accessory, it might just be the powerful modern rig creative professionals have been waiting for. But of course, there are a few first-gen stumbling blocks to deal with. 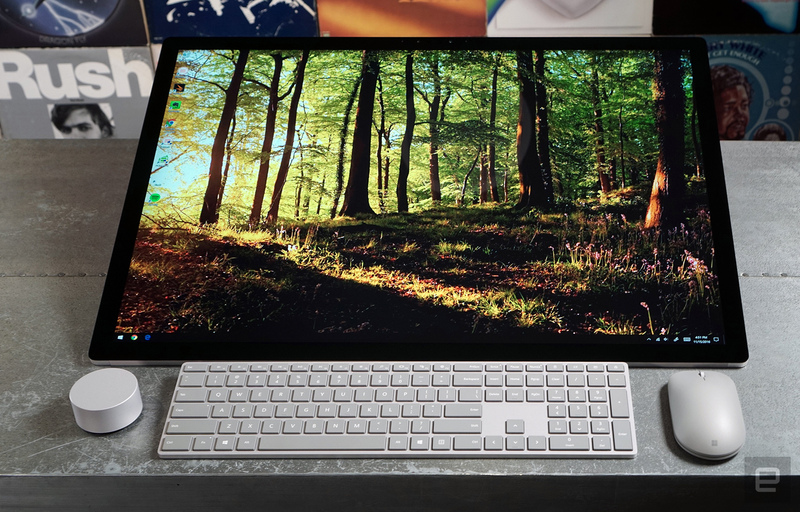 The Surface Studio is exactly the sort of twist on desktops you'd expect from Microsoft. It's fast and sports a gorgeous screen, but most importantly its screen-bending gimmick is actually useful. Just be prepared to spend a lot for the privilege of owning one. 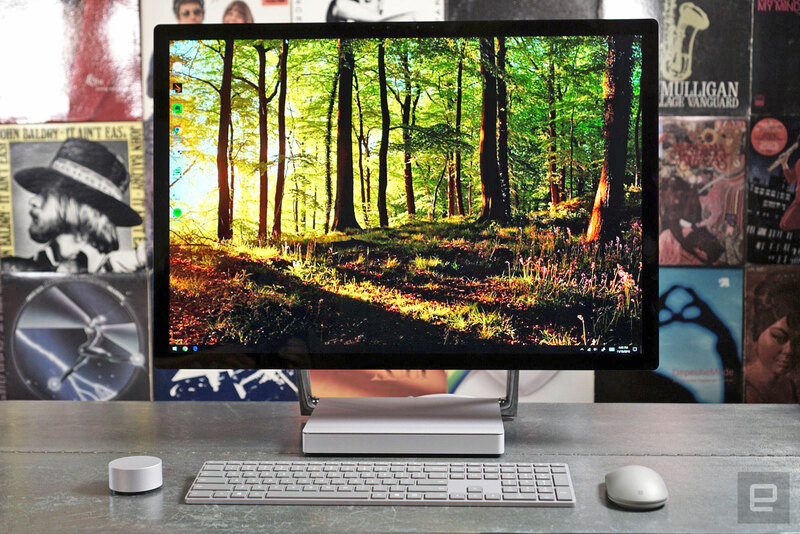 Be the first to review the Surface Studio? This is one gorgeous computer. And that's not just my opinion: Many people who walked by my office desk commented on the the Surface Studio's good looks. Its design is one of elegant simplicity. The focus is entirely on its 28-inch screen, which is connected to the short aluminum base with a pair of chrome hinges. That's pretty much it. But what's really intriguing about this computer isn't readily apparent at first glance. Those chrome hinges, for example, house an elaborate 80-spring mechanism that makes bending the Studio's display up and down practically effortless. The display outputs a sharp 4,500 x 3,000 (13-million-pixel) resolution -- 63 percent more than 4K, and 1.2 million fewer pixels than 5K. And all of the Studio's hardware is located in its slim base, which is basically just a mini-PC with some serious specs. There's also touchscreen support, as you'd expect, and the Surface Pen once again makes an appearance. And, just so we can get this out of our systems: Yes, this is a desktop computer that transforms. Yes, it's more than meets the eye. Let's move on. Practically everything about the Surface Studio's build screams refinement. The aluminum used around the sides and back of the screen, as well as the base, feels smooth to the touch. The chrome hinges reflect their surrounding environment, almost disappearing into your desk. And, despite having a delicate bending mechanism in its hinges, the Studio felt sturdy as I lugged it to different locations in our office. There was no flexing or creaking to be found. At around 21 pounds, it's easy to move the Surface Studio around your home. (I wouldn't call it portable; more like relocatable.) While the base mostly gets out of the way, it might seem a bit chunky if you're used to all-in-ones that shove their hardware behind their screens. There's a 5-megapixel camera for videoconferencing along the front face, right near an IR camera for fast logins using Windows Hello. You'll also find volume and power buttons on the right side. Beyond that, the Studio is a pretty minimalist device. The only bit of branding on the machine is a mirrored Windows logo on the back. Accompanying the Studio are the new Surface Keyboard and Mouse. Both sport the same gray aesthetic as Microsoft's computers, and they're basically just minor refreshes of the company's existing wireless input devices. Microsoft doesn't really get enough credit as a keyboard and mouse maker, but I've been a fan of their hardware for years. These new devices don't disappoint either: The Surface Keyboard has some satisfying feedback in its island-style keys, and it easily kept up with my angry post-election typing. The mouse curves into your hands well, and it works smoothly across a wide variety of surfaces. Its scroll wheel is also fairly smooth, though I wish it included horizontal scrolling like some of Microsoft's other mice. With its PixelSense displays on the Surface Pro 4 and Book, Microsoft proved it could build some truly vibrant LCD screens. For the Studio, the company applied that concept on a larger scale. The result is a 28-inch screen that's among the sharpest and most colorful I've ever seen. It makes just about everything look good, be it 4K video, photos or simple Office documents. Its 3:2 aspect ratio feels a bit awkward now that we're used to widescreen monitors everywhere, but the display itself is also a mere 12.5 millimeters thick. It's honestly a bit hard to see from the side. Artists will likely appreciate the Surface Studio's ability to switch from SRGB and wider DCI-P3 color gamuts on the fly. Apple made a big deal about the iMac's support for the P3 gamut last year, and the same benefits apply here. Simply put, it'll let you view an even wider variety of colors. And since it's a standard backed by Digital Cinema Initiatives (DCI), it's particularly helpful for editing digital video. Typical consumers will likely just notice that some photos and videos will appear much richer than before. Mostly, I appreciate the Surface Studio simply for having a big freaking screen. After spending years writing on ultraportables and reading news apps on smartphones and tablets, I sometimes forget how nice it is to use a large screen where you can have a pile of windows thrown about, or simply view a full-size webpage next to a document for note taking. It might just be me, but I've found that bigger displays simply let me be more creative. 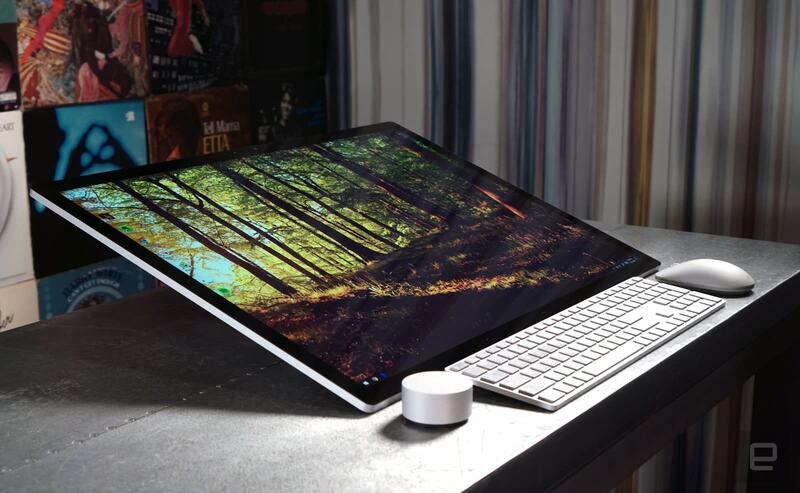 On the face of it, the $100 Surface Dial seems like an oddity. We've already grown used to keyboards, mice, touchscreens and even styluses like the Surface Pen; who has time for another accessory? Artists, that's who. Wacom has already gotten plenty of digital illustrators used to the notion of remote accessories, which let them quickly access tools they use often. But those remotes have generally been hard to use, with far too many buttons. The Dial simplifies that concept. It's a small metallic puck that resembles a large volume button on an AV receiver. 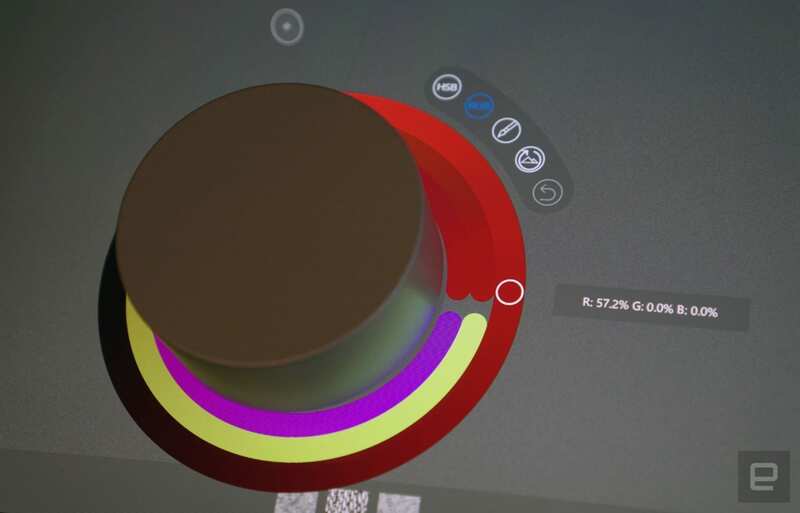 Give it a spin and you'll be able to control things like the volume or zoom. You can also click the Dial to select options and move between its functions. But the coolest thing? Plop it on the Surface Studio's screen and a ring of contextual options immediately appears. It's up to developers to bake in support for the Dial, but at launch you'll be able to change tracks in Spotify, zoom and rotate in Microsoft Maps and access a wide variety of settings in Sketchable. I tested the top-of-the-line $4,200 Surface Studio, which packs in a 2.7GHz Core i7 6820HQ CPU, 32GB of RAM (! ), a hybrid drive consisting of a 128GB SSD and 2TB HDD, and NVIDIA GTX 980M graphics with 4GB of VRAM. As you can imagine, it was one of the most powerful PCs I've ever tested. I was able to juggle dozens of browser tabs, 4K video playback and Minecraft running with high-quality settings all at once without breaking a sweat. The massive screen size practically encourages extreme multitasking. The only major downside is the Studio's slow disk speeds, which stem from its hybrid SSD/mechanical hard drive approach to storage. Since it's limited to notebook graphics cards, though, the Studio doesn't perform as well in high-end games as larger desktops do. In 3DMark, it scored around 20 percent lower than the $200 Radeon RX 480 GPU on my home rig. Oddly, it also got some weird scores in 3DMark 11's "Performance" test, which I'm attributing to driver issues. I was able to run Overwatch at around 60 frames per second in 1080p with high settings, and Gears of War 4 around 50 frames per second with medium settings. The latter title, perhaps because it was so new and demanding, sometimes dipped into much lower frame rates during more hectic scenes. That's all par for the course for notebook graphics, but I wish Microsoft would have been able to include NVIDIA's more powerful 10-series GPUs instead. 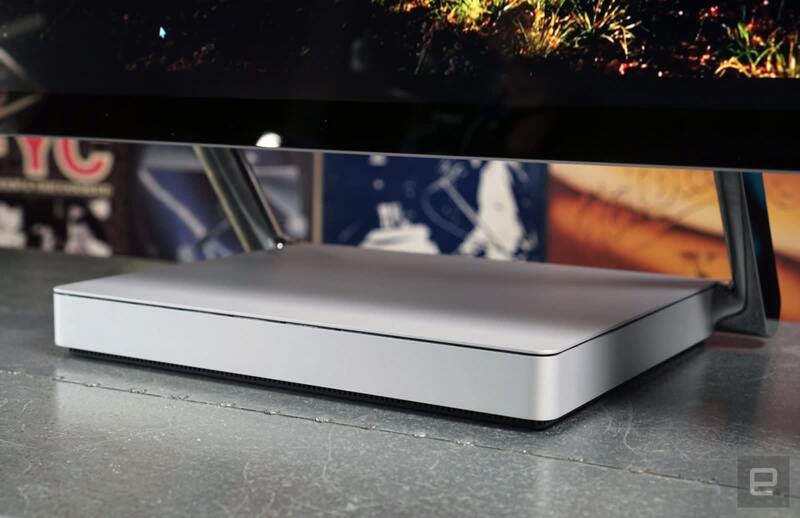 The company says those cards weren't available as it was developing the Surface Studio, which makes sense given how long it takes to plan and build a whole new product. Because of the slight underpowered nature of the Studio's graphics, it'll likely have trouble with VR. Microsoft says it can handle "light" virtual reality experiences, but since none of the GPUs available for the Studio are considered "VR ready," I wouldn't plan on having it run something like Eve: Valkyrie very well. And for a computer that's so expensive, with no foreseeable upgrade path, that's a tough pill to swallow. While I've been testing the Surface Pen for years now, it really gets to shine on the Studio. Once I pushed the screen down to its flattest orientation, I felt like I was able to "dive" more into drawing with the Pen. The resistance feels as good as it did on the Surface Pro 4, with almost pen-to-paper feedback. Given its size, though, I don't imagine I would use the Studio to jot down notes as much as I would on the Surface Pro 4 or Book. It's clearly meant for people who actually need to use a stylus seriously. So for that reason, I enlisted the help of someone who could actually draw: Alexander Sapountzis, a software engineer at our sister publication The Huffington Post. He's been illustrating for a while now with the iPad Pro, and he's also the creator of the web comic Damn Heroes. It didn't take long for him to adapt to the Studio's angled orientation, and he particularly enjoyed the resistance of the pen on the screen. On the downside, he noticed that palm rejection was worse than with the iPad Pro, and the software ring around the Dial had the annoying habit of drifting down the screen, even if the Dial was staying in place at the Studio's lowest angle. Both of those issues ended up disrupting his creative flow, which is exactly the opposite of how Microsoft wants people to see the computer. The Surface Studio also had difficulty recognizing when he wanted to move an image around, which often led to unwanted brushstrokes from his fingers. Overall, he was impressed with the Surface Studio's size and form factor, but he wasn't looking to switch anytime soon. As for the issues mentioned, hopefully it's the sort of thing Microsoft could fix with a software update. We've asked the company to comment on whether it's working on any fixes. I couldn't find any Wacom users to test the Studio before this review, but judging from what I've seen across social media and forums, they don't seem overly excited for it online. For one, plenty of Wacom devices work off of Adobe's RGB color spectrum, which is more widely supported than P3. That company's styluses and other hardware also offer more control and fine-tuning than the Surface Pen does. You can tell Microsoft isn't aiming the Surface Studio at typical consumers based on its pricing: It costs $3,000 to start. That base build includes a sixth-generation Intel Core i5 processor, 8GB of RAM, a hybrid drive made up of a 64GB SSD and 1TB HDD, and an NVIDIA 965M GPU with 2GB of memory. That's certainly a lot of money for a PC with less than 16GB of RAM and a mobile GPU. The mid-range Studio goes for $3,500 with an i7, 16GB of RAM, and a 128GB SSD with 1TB of storage. And then at the top end, you have the insanely powerful configuration I tested, which costs $4,200. 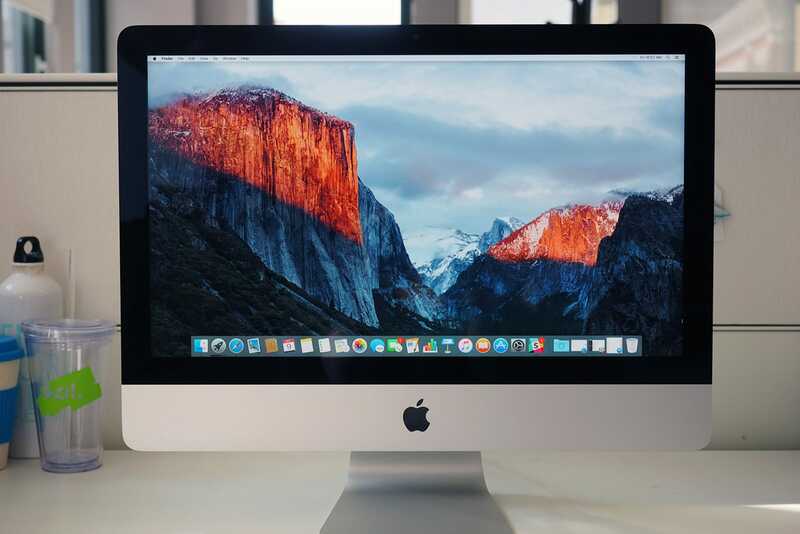 Understandably, you'd probably look to Apple's 27-inch 5K iMac if you're considering the Surface Studio. Since that starts at $1,800, you'd still have plenty of cash left over to invest in Wacom hardware before you even reached the Studio's starting price. Alternatively, you could consider the multitude of PC options out there. The Asus Zen AiO and HP Envy All in One start at around $1,300, while the massive 34-inch ultrawide Digital Storm Aura starts at $2,531, with desktop-grade CPUs and NVIDIA GPUs. And to make up for the lack of digital illustration tools, you can add Wacom's new Cintiq Pro displays for $1,000 or $1,500. Basically, you've got a lot of options. You could even spec out a normal-size CPU and add Wacom hardware for far less than the Surface Studio's cost. Of course, you wouldn't get the same polished, integrated experience with a makeshift setup as you would with Microsoft's desktop, but if you're a struggling artist, you'll likely need to squeeze as much value out of every dollar as you can. Perhaps a better market for the Surface Studio would be the Apple faithful. 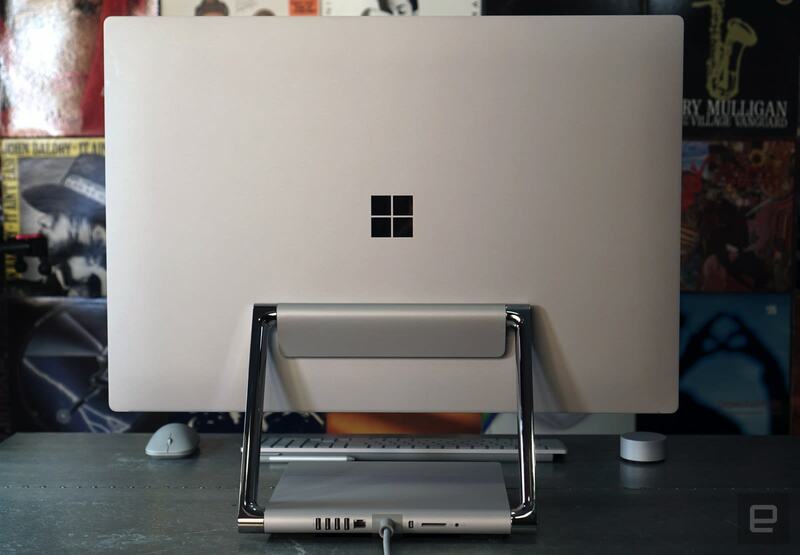 With no upgrade for the Mac Pro in sight, and an unfortunate update for the MacBook Pro, I wouldn't be surprised if plenty of well-to-do creatives were looking closely at Microsoft's hardware. The Surface Studio is both familiar and new. It empowers us to work the way we always have, while also giving us entirely new modes of productivity. Personally, that's a philosophy I can get behind -- especially when you contrast it with Apple's habit of pushing consumers down new roads that aren't necessarily improvements (hello, dongle life). But the Surface Studio's high price and lack of expandability could make it a tough sell for an already niche market, particularly for people already devoted to their Wacom tablets.